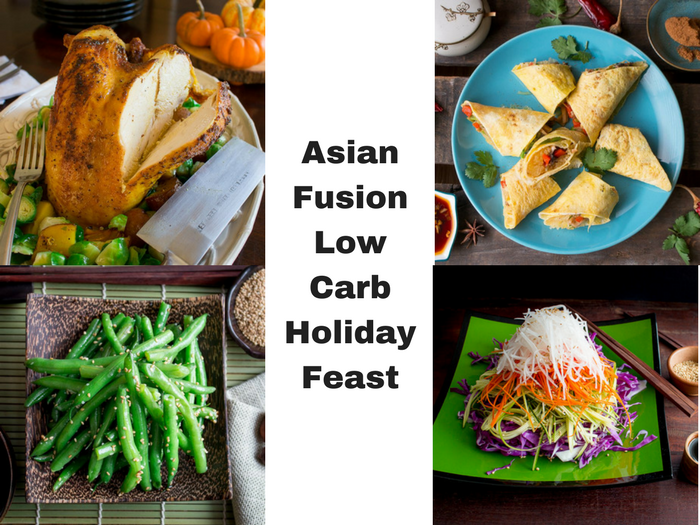 Asian Fusion Low-Carb Holiday Feast is a complete array of dishes from starters to desserts to tantalize your taste buds that is fun to share with family and friends. We know how hard it is to stick to a diet plan with all the temptations and treats this time of the year. We do not want you to feel deprived. We do not want you to have guilt after your gorge out on a meal filled with carbohydrates and sugars. 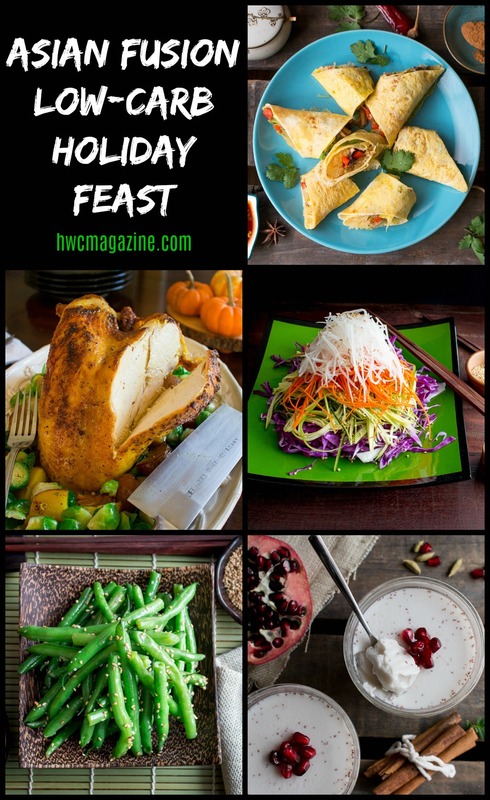 At Healthy World Cuisine (HWC) Magazine, we have come up with a Asian Fusion Low-Carb Holiday Feast meal plan that your family and friends will enjoy and also helps you meet your dietary goals. After living many years in Asia, we can tell you the spices of this Asian Fusion cuisine help you forget all about the carbohydrates. You will be satisfied from the healthy fats. The spices and herbs will tell your brain you are in the EAST, but the foods will make your brain feel like you are in the WEST. This Asian Fusion Low-Carb Holiday Feast is the perfect Asian Fusion meal. How many of you will be pre-planning for holidays wearing your FAT Trousers (pants)? You probably already know this but the average weight gain during the holidays is about 10 pounds. If you add that up or don’t keep that in check, you will not be able to meet your health goals. Wouldn’t it be better to eat in moderation and enjoy the foods you enjoy all whilst enjoying the holiday season? 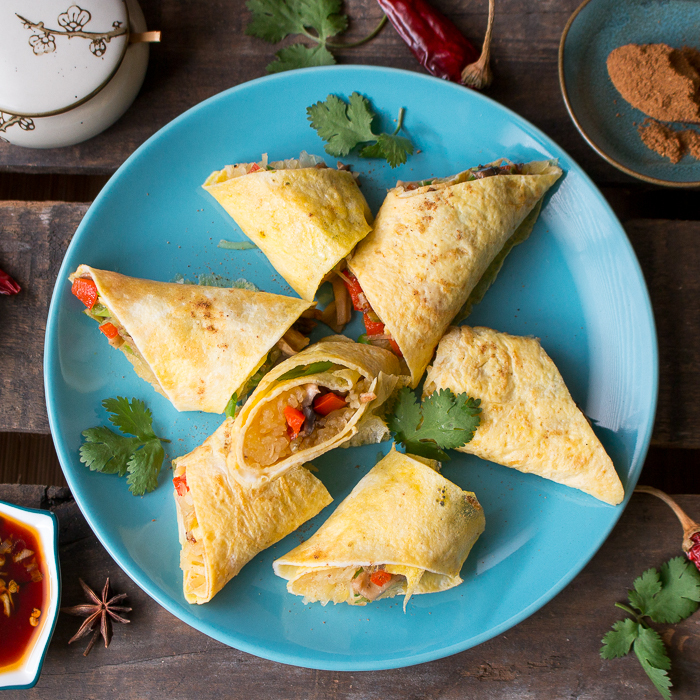 If you are ready to take on the challenge, come and join us for the full Asian Fusion Low-Carb Holiday Feast. Skinny Spaghetti Squash Egg Roll Ups are a low carb anytime snack made with roasted spaghetti squash & vegetables wrapped up in a thin egg pancake with a killer spicy dipping sauce. 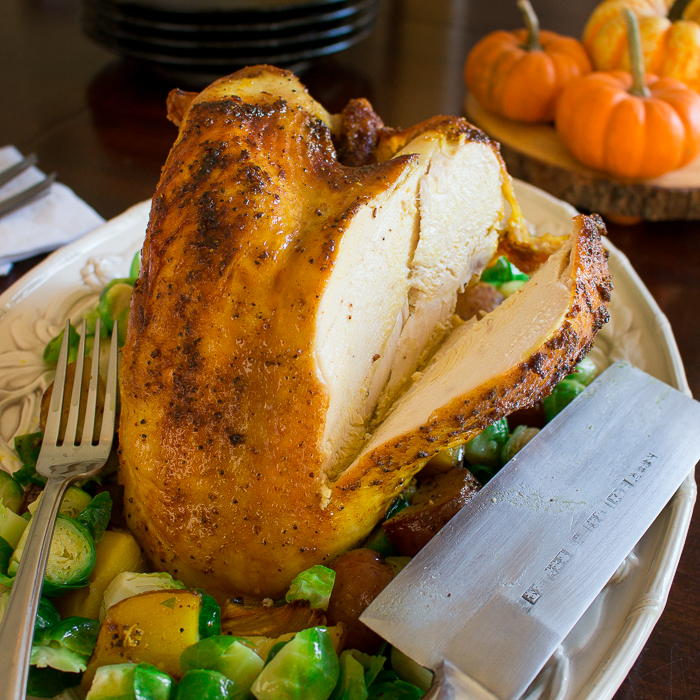 Roasted Turmeric Spiced Turkey Breast is a succulent bone in turkey breast cooked with turmeric, cardamom, spices and a very fun twist for a holiday gathering. 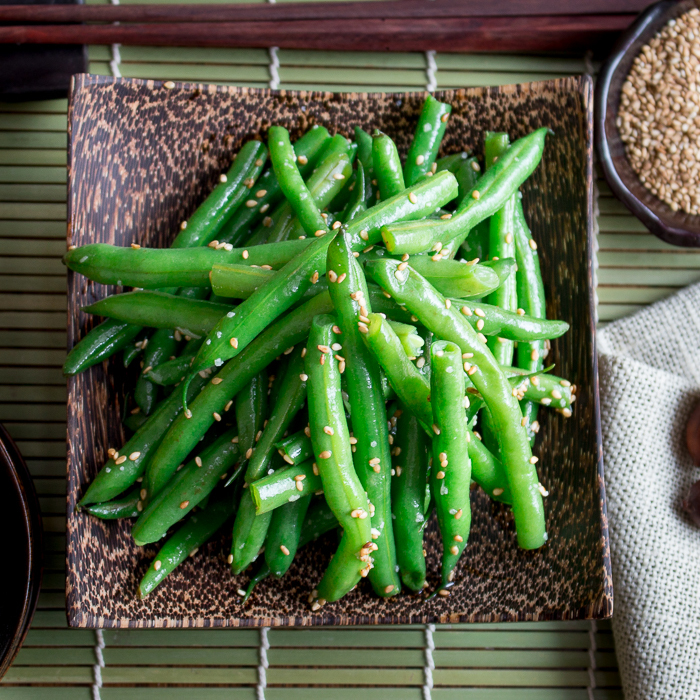 Garlicky Sesame Stir Fried Green Beans are a quick and easy vegan side dish that is an explosion of flavor with just a handful of ingredients. 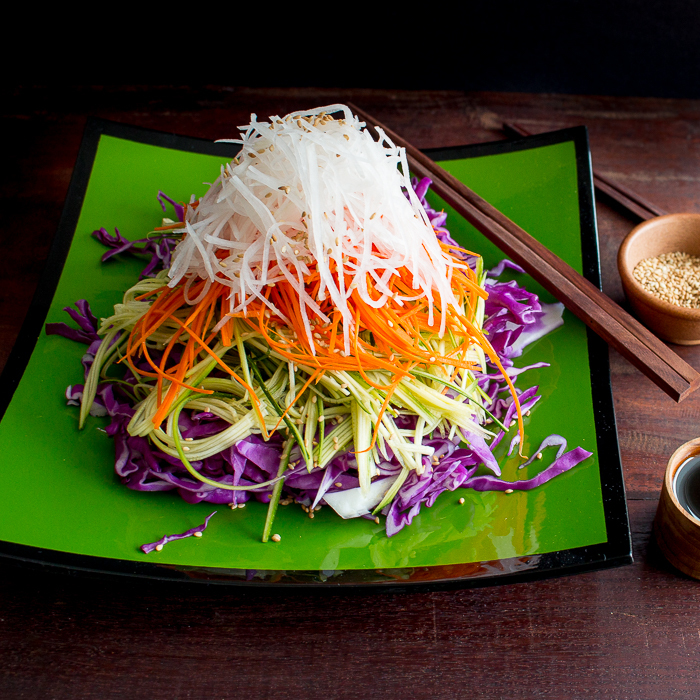 Layered High Sesame Asian Salad is piled high with healthy extra-long thin vegetables and a rocking tamari ginger dressing. 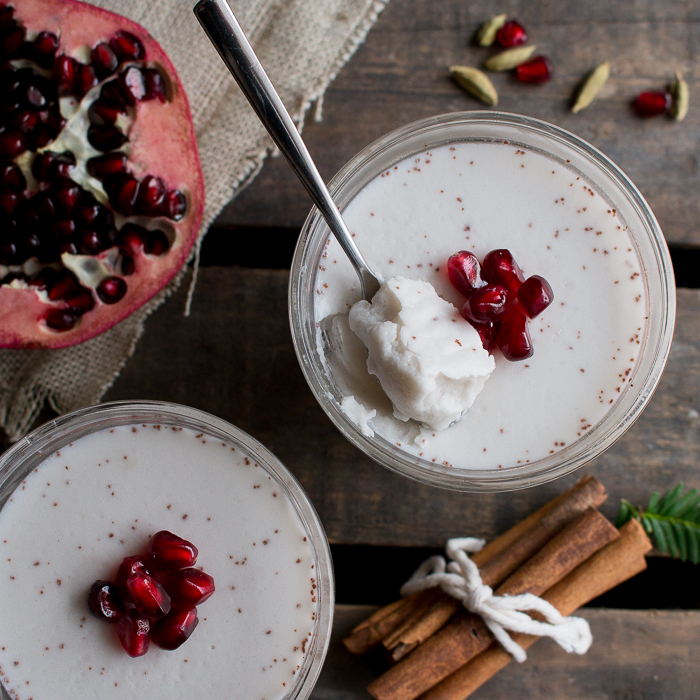 Spicy Chai Coconut Jelly is a creamy decadent lightly sweetened Asian dessert made with warming spices of ginger, cardamom, cinnamon and anise in a coconut milk base topped with jeweled pomegranate seeds. Be sure to follow us on INSTAGRAM, FACEBOOK and TWITTER as we are going to be sharing all kinds of helpful hints to get you through the holidays. Wishing all of you a safe holiday from our family at Healthy World Cuisine to yours!